NOTEPAD008 is an open angled notepad to present sketches, designs or notes as a rendered mockup. 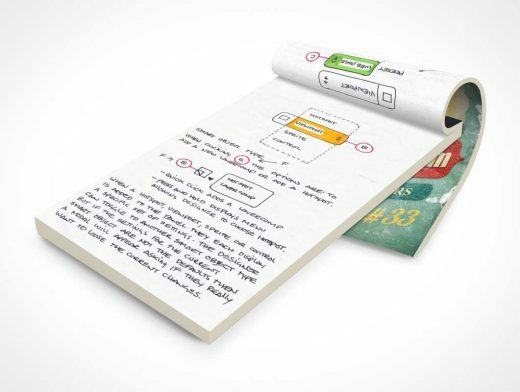 This PSD mockup applies your designs onto a prepared notepad mockup rendered to look as if it were laying on a flat surface with a portion of it pealed and folded behind the notepage. The final result is a multi-layerd PSD document with which the designer can change light and shadow layer effects to their liking.